I don’t know what kind of bad experience you may have had with your Mary Kay experience, but why create a site totally badmouthing about this business and the women and network marketing principle? It may not be for everybody, but the principle of network marketing is the most humane capitalistic way to do business according to Dr. Charles King of Harvard. One is always going to run into “bad” apples in life and maybe our own failures which we are not capable of owning and place the blame on others in Mary Kay or other ventures is truly the issue at hand. I met wonderful women in Mary Kay and although i chose to move on to another network marketing company in the health and wellness industry I would never badmouth another human being especially who offered me an opportunity to grow personally and a business to grow. The outcomes are a direct result of our own making, not someone else’s. I enjoyed my Mary Kay business and Sales Director and women very much the few years i was actively a consultant and still think it’s the best skincare in the world, but my lack of advancement was not anyone else’s fault. I learned that i let other events in my life interfere with my daily focus and so the results followed. So your site greatly reflects on your integrity and the energy that you have put into it may certainly be more useful in creating positivity in your life and maybe instituting principles or habits that you are gifted with to blossom in your own magnificence. I just had to respond when i stumbled on your site because there is no disgrace in any aspect of Mary Kay and sometimes keeping things that have hurt us or our own failures or better kept in our own hearts or shared privately with a trusted friend. Another pious pyramid schemer. How refreshingly novel. Not! Ya think there is a connection. Because these MLMers sure are giving religion a bad name. Tip: Being a bank “robber” doesn’t change with the name of the bank you frequent. You’re still considered a bank robber no matter where you go. Same goes for being an “MLMer”. I guess Mary Kay didn’t have enough money in their vault?! Not only may it “not be everybody”, it’s for nobody unless you are a scammer at heart. Ummm, you might want to do your research, sweetie. Dr. Charles King may have gotten his Phd at Harvard, but he did not teach there nor does Harvard have a course or degree in network marketing. In fact, his Phd is for Business Administration – not even Marketing… any kind of marketing. It took me 5 minutes on Google to learn all of this. In fact, it seems that Mr. King is an MLM huckster. After his wonderful Phd, he founded Networking University – which is nothing more than a bunch of hacks who created “classes” to teach people how to market certain businesses – for a price. It is not a university, it is an information sharing site that does not vet the videos or “teachers”. That was another 5 minutes on google to figure that out. Just because someone has a degree doesn’t mean they’re not a crook. Just because someone else says a person teaches something at Harvard doesn’t mean it’s true. And continuing on the theme of research. Your first sentence says you don’t know what kind of experience we had in MK. 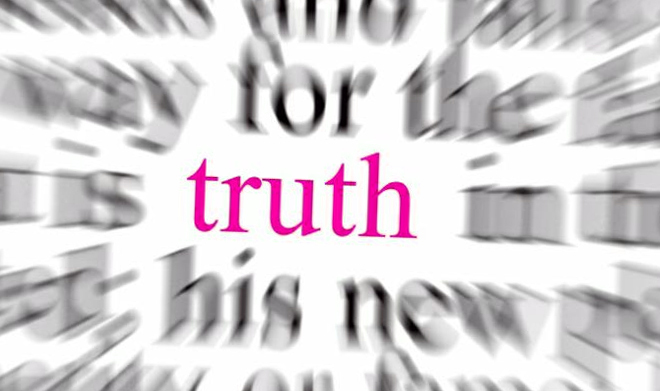 Well, if you spent just 10 minutes reading the articles on Pink Truth you would see many of our personal experiences. Just the fact that you jumped ship from MK to another MLM tells me that you didn’t have such a great experience in MK yourself. Care to elaborate on that? From your description above, sounds like your upline manipulated you into feeling like your failure in MK was all your fault. I’d love to hear what they said and compare it to what others were told by their uplines when the promises of MK success didn’t pan out. Please check back in and let us know how successful you are with your latest MLM venture. I’d bet dollars to donuts that your experience will be similar to that in MK. The one most important thing to know about Mary Kay or any MLM, and the most damning, and the reason for other MLM wrongs, is that it is only a business for the corporate. For the “consultant” members, despite all the products, it’s a bait-and-switch. MLMs deal in memberships, really. And while the members desperately try to sell off the overpriced, unprofitable products, customers are welcome to join as a member and buy all the products at the ostensibly wholesale price: more profit for the company, less profit for the members. I’ve noticed this attitude of “positive people” not just in MLMs, but in other places like youtube channels and blogs, where people are convinced that anything that suggests they and what they do is not that awesome and great comes from people being mean or jealous or not knowing how to feel good. They think it’s uplifting, but to me it seems unhealthy. Agreed. One of the greatest manipulations in MLM is convincing the target that they are smarter, that they see the vision, that they are clever enough to seize the opportunity – and others aren’t. This really taps into their ego which is a great tool for scammers. I am a “positive” person. Sending myself positive thoughts that my next bank robbery will net me a truckload of money. I’m keeping the faith. Wish me luck and pray for me. All you negative people who think I can’t pull off this heist are just jealous. Mary Kay pyramid schemers who dare suggest that PinkTruth is “negative” should be evaluating their behavior first. Are you lying to family or an acquaintance? 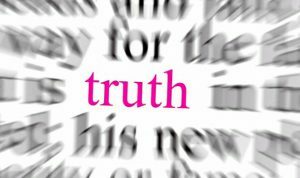 Have you fact checked from a third part source (not your upline) to make sure you’re not repeating a lie? Being positive about a financially harmful pyramid scheme, Mary Kay, is no better than me being positive about my bank robbery. But, but, but, pyramid scheming isn’t as bad as robbing a bank. Isn’t it? Collectively, MLM accounts for billions of dollars of loss to willing-victims each year. Mary Kay is robbing people with a pen, credit card, and makeup – instead of a gun! Victim blaming. Emotional control manipulation. Please tell us who product-based pyramiding is NOT for… and do you screen potential recruits to determine if it’s for them? Or, do you proclaim to potential recruits that your “opportunity” is for everyone? Pronouns are indeed important. “Of” Harvard implies he is currently at the university in an official capacity, perhaps teaching. “From” Harvard means he attended that school and acquired a degree from there. And Charles King is dead (11/8/2016), having done very little in this century but give seminars for QNET. QNet Ltd, formerly known as QuestNet, GoldQuest, and QI Limited, is a Hong Kong-based multi-level marketing (MLM) company owned by the QI Group. The company markets a variety of products including energy, weight management, nutrition, personal care, home care, and fashion accessories on an e-commerce platform. It operates legally in some countries, but has also been charged with Ponzi scheme and multi level marketing in countries such as India. The Govt. of India and the Telecom Regulatory Authority of India has banned the official website of the QNet in India after the huge protest and scam spread in the city of Bangalore. It appears that Charles King was QNET’s tame “Harvard graduate” they used to slather a bit of legitimacy on their operation just as Gloria Mayfield Banks and her Harvard MBA is used by Mary Kay. Anyone else find it interesting how many consultants stumble on this site? I is capitalized. Go back and earn your directorship and car, then tell us how wonderful the experience is. You lost me at the first uncapatialized I and then quitting before you had any real experience. Next….. This is one of the best responses I’ve ever seen on here. Thank you for that. Ah yes. The “one bad apple” claim, served with a generous topping of “blame the victim.” Here she is saying that everyone was just unlucky enough to meet the one bad Director. I wonder how many “good apples” she found who were also bringing home decent money from their MK business. Hmmm? Must not have been very many. She got out of Mary Kay pretty fast. But hey, now she’s doing pretty well at her new MLM. I wonder how much longer, though. It’s tax return time. I don’t suppose she’ll send us her Schedule C? For crying out loud. It don’t matter how many letters you Kay boys write.. if you put lipstick on a pig — it’s still a pig. How many booking calls did I make today? How many business cards did I give out? How many names did I get? How many guests do I have confirmed for next week’s meeting? How many guest events did I attend today? How many training workshops did I attend today? How many dollars did I spend registering for Seminar? Absolutely zero. And the freedom I have now outside of MK is unbelievable. I regret every day I was in that company, and it saddens me to see how many family events and milestones I missed because I had my head up InTouch’s @$$ or wherever. I’m SO grateful I used my INTEGRITY and got out when I did. No more lying about commission checks and net profits. No more trying to motivate the masses so we could get better Seminar seating or finish a car. No more walking away from Career Conference feeling like I was a loser who needed to reboot my entire style and way of doing business to emulate someone that wore more bar pins than I did. And I didn’t wear heels today, thank you. Direct sales only works if you have a steady source of names and numbers to call. You can’t call women and book anything if you don’t have names and numbers to call. When you run out of friends and family, and called every number they gave you five or six times, where are you going to get new contacts to call? When you’ve already reached out to everyone who attended a party, five or six times, and gotten nowhere, where are you going to get new names to call? When you’ve already called the few people who left cards in your various fishbowls, and they won’t answer the phone, where are you going to get new names to call? band, the cheerleaders, the HOA, your cousin’s church, and any other organization you joined, where are you going to get new names to call? And YES, it is abuse for you to join organizations and churches so that you can get your hands on a phone list. Abuse. All the rationalization you do won’t change it. It’s a numbers game. When you run out of numbers, you’re out of the game. Exactly. The consultants are the real customers. Hey, consultants! Buy more so you can earn a cruise! Buy more so you can earn a car! Buy more so you can earn a “key necklace”! Buy more so you can earn earn a bonus! Just keep buying!